Sound marketing relies on a foundation of informed decision making. The better we understand the e-commerce marketplace, the better we will be at marketing ourselves in it. That’s why, today, I’ve collected five statistics that say something important about this marketplace, along with my advice based on the facts presented here. According to the Trustpilot “How Consumers Use Reviews Today” report, only 14 percent of consumers are “very likely” to write an unsolicited review, while 29 percent are “very likely” to write a review if the company invites them to. 19 percent of consumers are reading reviews before they visit a company website. Most consumers (about 57 percent) are using search engines to find those reviews. 79 percent of consumers want to see companies respond to negative reviews. 89 percent check reviews at least sometimes when they shop. 47 percent of consumers check online reviews while on a brand’s website, before putting items in their cart. In other words, consumers are checking to see what previous customers think of products while they are actively shopping. It’s impossible for the modern e-commerce site to neglect views and claim to have a complete marketing strategy. 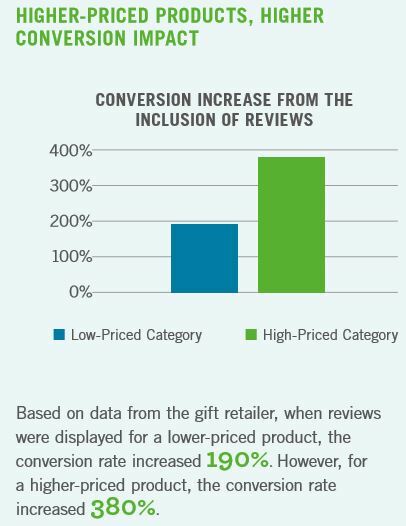 The stats above make it clear that reviews are strongly influencing consumer behavior. The report may even underestimate how strong of an impact it makes to ask customers for a review. If you’re concerned that asking customers to leave reviews will lead to more negative reviews, you shouldn’t be. In my experience, people are far more likely to leave negative reviews on their own than positive ones. Just as importantly, no matter what people might say in surveys, scientific research published in the Association for Psychological Science indicates that people favor products with more reviews, regardless of the star rating. Retailers that display ratings on their sites see conversion rates rise by 270 percent, and people are actually more likely to buy products in the 4.0- to 4.7-star range than products with a perfect five-star score. In short, ask your customers to leave reviews in your communications, and make it as easy as possible for them to do so. According to a study conducted by Swirl Networks, 88 percent of consumers say that the more personalized and interconnected their online, mobile, and in-store experiences are, the more likely they are to shop with that retailer. 87 percent of consumers also said they’d be more loyal to a retailer who was capable of accomplishing this. The same study found that 56 percent of consumers feel Amazon understands their needs on a regular basis. This number dwarfed traditional retailers, where only 25 percent of consumers felt the same way. This has clearly played a part in Amazon’s success. Any talk of personalization in today’s e-commerce scenario is incomplete without exploring the usefulness of chatbots. Forrester research shows that live chat is expected and effective, with 44 percent of customers agreeing that it’s one of the most important features an online business can offer. It is therefore essential that businesses harness customer data in such a way that marketing and support teams can use it to deliver better, more personalized service. There are the tools out there to help you accomplish this within your budget and with almost no programming resources. Morph.ai, for example, is a chatbot building platform that suits small businesses and retailers. This software lets you create chatbots that use “conversational marketing.” This means you can have one-on-one conversations with your customers, take orders directly from Facebook Messenger, transact using all payment systems, and provide instant service. Modern consumers expect live support, sites that understand their preferences, and expect communications from the company to be tailored to their purchase and interaction history, and customer support to be clued in on what is happening so that they can deliver results quickly. 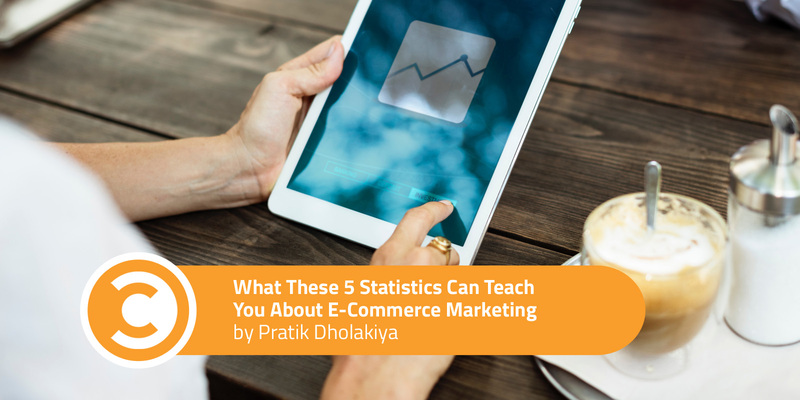 E-commerce sites that ignore this fact will struggle to find success. According to research by Google, B2B influencers conduct an average of 12 searches before they engage with a specific brand’s website. Search is the number one place these decision makers are performing their research. In fact, 90 percent of B2B shoppers use search specifically to inform their business purchases. Seventy-one percent of B2B researchers start their research with a generic search, not a branded query. If you want to be exposed to these decision makers sooner rather than later, you should be targeting these more general informational queries. But if you think this behavior is limited to the B2B sector, you’re mistaken. While reliable data is harder to come by, the average consumer visits three stores before they make a purchase, and 60 percent of them use a search engine to find the products that they want. The lesson here is one the marketing industry has wholeheartedly embraced: Customer relationship management and marketing automation software play a huge role in setting and managing expectations, and there’s no excuse for modern businesses to avoid using them. And if you thought a CRM is expensive, you couldn’t be more wrong. 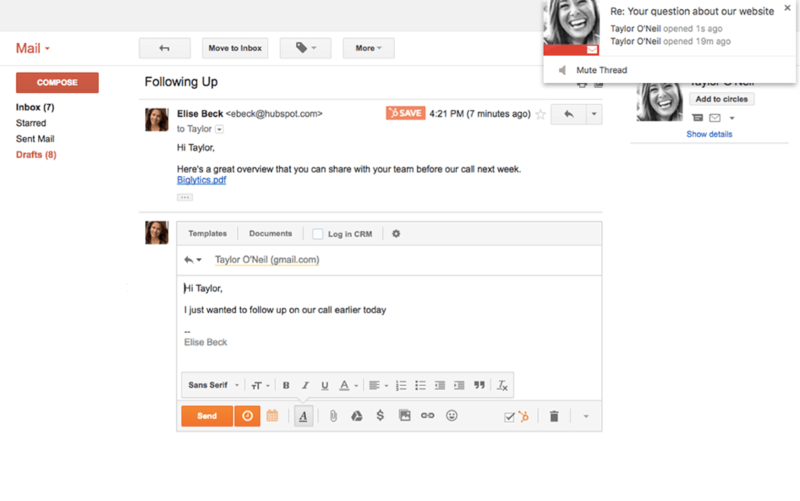 HubSpot’s CRM, for instance, is totally free and gives marketers an up-to-the-minute view of the sales funnel, qualifies leads, and automatically tracks customer interactions across multiple channels—on email, social media, or phone calls. When you’re trying to convert prospects, proper keyword targeting and remarketing tend to have the highest immediate conversion rates. However, relevant information at the right time is the main contributor to sales and separates small-time retailers from the big successes. According to a study conducted by e-commerce platform BigCommerce, the perception that all of the money is going to Amazon and marketplace sites like it is flat out wrong. In reality, e-commerce shoppers spend almost as much on single brand websites as they do on marketplaces. Shoppers spent an average of $409 on brand websites, compared to $488 at marketplaces. Many people equate e-commerce with the marketplace model. However, when Amazon is taken out of the equation, it is actually the exception rather than the rule. Amazon accounts for 43 percent of online US retail sales. That means that outside of Amazon, brand websites are making the most money, not marketplaces. In fact, the same study found that while slightly more money was going to marketplaces than brand websites, the reverse was true in number of consumers. More shoppers had visited a brand website (74 percent) than a marketplace (54 percent). I’m not trying to argue that marketplace e-commerce sites should abandon their business model. But I am highlighting the value of branding and how strong its impact can be. Obsession with Amazon’s business model can cloud your judgment if you aren’t careful. Offer exclusive products, and find innovative ways to differentiate your brand. We online marketers spend a lot of time talking about the importance of identifying a unique selling proposition and competing on differentiators other than price. But it would be a huge mistake to conclude that price is anything less than incredibly important. The BigCommerce trends report we referenced earlier also found that the top three factors considered “very” or “extremely” influential in deciding where Americans shop were price (87 percent), shipping cost and speed (80 percent), and discount offers (71 percent). Now, I understand that small retailers struggle to compete with big ones on price. Competing on price alone is a losing strategy for all but one retailer. It offers no lasting branding on its own, either. But we need to understand how incredibly price-conscious our shoppers are. If you are selling the exact same make and model as another retailer at a higher price, you aren’t going to move a lot of product. In fact, you may need to consider if it’s worth having the product in stock in the first place. Pushing for exclusive items is crucial in order to offer something of value when you cannot compete on price. Here, you have the most control over shipping costs. Folding the cost of shipping into the price of the product and offering free shipping almost always has a positive impact on conversion rates. While most consumers are at this point savvy enough to know that they are still paying for shipping, the certainty in pricing is a major draw. Pratik Dholakiya is the Founder of The 20 Media, a content marketing agency specializing in content and data-driven SEO, and co-founder of MoveoApps, a mobile apps development company. He regularly speaks at various conferences about SEO, content marketing, and digital PR. As a passionate marketer, he shares his thoughts and knowledge in publications like Entrepreneur, The Next Web, and Fast Company. Onalytica named Pratik one of the top content marketing influencers three years in a row, and recently, he was awarded one of the 100 Smartest Digital Marketers of India by World Digital Marketing Congress.